Being powerful beyond one’s capability leads to defeat. Unjustified vanity leads to disasters. Wrong experience disguises the truth and deceit – though it may work for a while – will eventually be exposed. All these together are the worst political inheritance. When a political leader bets on certain givens and plays a certain game but is then incapable of understanding anything outside the context of his plan or what differs from what his consultants had advised him, then he has failed. When his tactics are all exposed and his close colleagues can see through his contradictions and continuous deceit while he himself doesn’t realize that, then he has failed. Failure is the worst inheritance because the leader’s failure leads to the failure of the state and the failed state may be the end result quite faster than many may think. Hamad and Hamad worked for some time and failed to achieve their scattered political dreams over the course of 20 years. The emir’ son inherited power after their failure as they were hoping the fog will clear and they will not have to respond to anything on the international, regional and Gulf levels. It’s not brave to put someone in the forefront when they fail. Individuals may forget but countries don’t. Friends and states may forgive as long as there’s a friendship rope. However countries do not forgive when backstabs intensify and when there are continuous hostile and treacherous policies. In this case, higher interests are the standard. Ambitions and visions become the major aspect taken into consideration when governing. Political topics change and experiences increase while abhorrent details draw the final picture for the decision maker. Twenty years are more than enough to get this picture clear. Dark history cannot be erased through a mediator, no matter how important he is. It does not end with sweet talk while sentimental slogans do not cancel facts. Qatar aspired to be bigger than its size in the region and the world. It’s a legitimate ambition for a small state to present the world with a big model that exceeds its capabilities – like Japan, Singapore, Hong Kong or other successful models did when they built their countries via exceptional development and magnificent future visions. However being ambitious does not prevent mistakes. The best example would be Japan’s ambitions in World War II. Japan managed to recover from its mistakes following an experience that may have been the worst in history. It amended its path and launched work as a modern country that managed to adapt with international balances, accept a new reality and give up a heritage that has become obstructive. Qatar is today living through a similar challenge though in a lesser degree. Qatar’s ambition today seems to be to become a tool in the hands of the Iranian regime and the Muslim Brotherhood. It wants to be present in the Gulf Cooperation Council like Hezbollah is present in Lebanon. It wants to perform the same role and services as Hezbollah. It wants to be in Yemen like the Houthis or in Syria and Iraq like Shiite militias and Sunni terrorist groups. There’s nothing worse than a leader witnessing the collapse of all his dreams and illusions and the exposure of all his tricks. This is what happened in Qatar. History does not lie. Qatar consciously chose to ally with fundamentalism in the Arab and Muslim world. It worked with big regional countries to form a center of gravity for the biggest fundamental movements in the world, i.e. the Muslim Brotherhood. It built spider webs with all political Islam groups and symbols and chose to ally with terrorist groups and religiously violent movements. 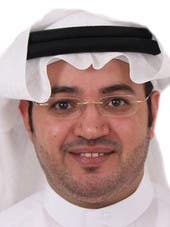 Abdullah bin Bijad al-Otaibi is a Saudi writer and researcher. He is a member of the board of advisors at Al-Mesbar Studies and Research Center. He tweets under @abdullahbjad.